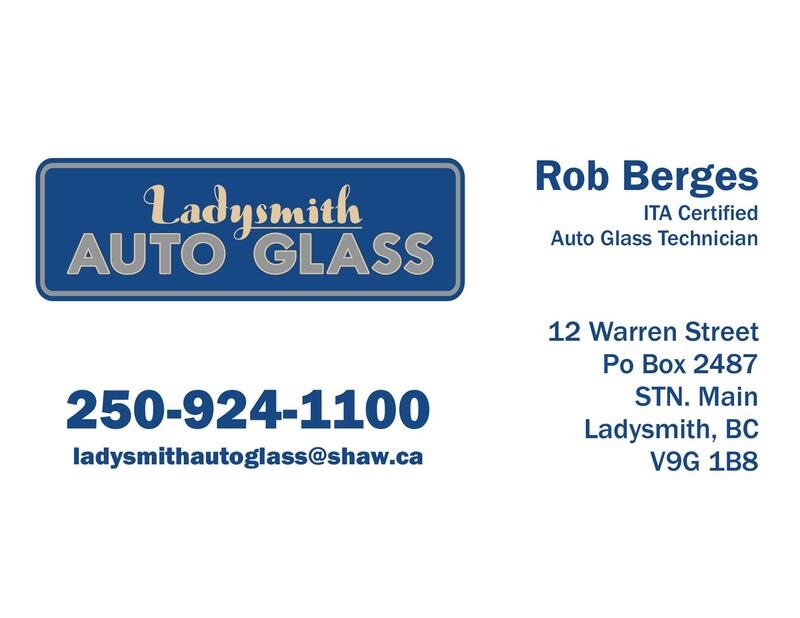 Company name: Ladysmith Auto Glass Ltd.
There’s a new auto glass service provider in town — Ladysmith Auto Glass is now open. Owner Rob Berges has opened his shop at #12 Warren Street and operates from 8:30 am to 5:00 pm, Monday to Friday and 9am to 1pm, Saturday. Rob, an ITA certified Automotive Glass Technician, has over 30 years of experience in auto glass service and will give you a free assessment and estimate for all repairs.